A flaw in Apple's Safari web browser could enable a hack to take control of your iPhone , and even your Mac desktop or laptop, it has been revealed. Researchers working for Independent Security Evaluators were able to take control of the iPhone using a Wi-Fi connection and by tricking the users into visiting a website that contained malicious code. The proof of concept virus - if propagated - could enable hackers to read your SMS messages, address book, voicemail and call history logs then send the hacked information back to a malicious website. However Charles A Miller, principal analyst at Independent Security Evaluators also praised the iPhone's security features and said the flaw had already been reported to Apple so it could work on a patch. "This looks like a genuine hack. We've been hearing for a few years now that viruses and worms were going to be a problem on cellphones as they became a little more powerful, and we're there." 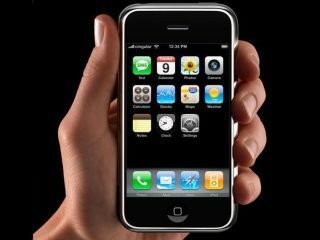 Bellovin also said that the iPhone was effectively a computer and that "it's got computer-grade problems." Full details of the exploit will be revealed at the Black Hat hackers conference next month.